In 2013, an estimated 27.4 million tourists visited South America, spending an average of $870 per person. But for luxury travelers looking for the ultimate vacation experience, South America cruises offer the best opportunity to experience everything the continent has to offer in one go. From the famous Galapagos Islands in the Atlantic to the mythical Amazon River in the heart of the tropical rain forest, South America cruises are the key to unlocking the ultimate vacation experience. Lima, Peru is one of the most popular destinations for cruises to South American, and it's easy to see why. Lima features 80 miles of coastline and thousands of restaurants and bars. 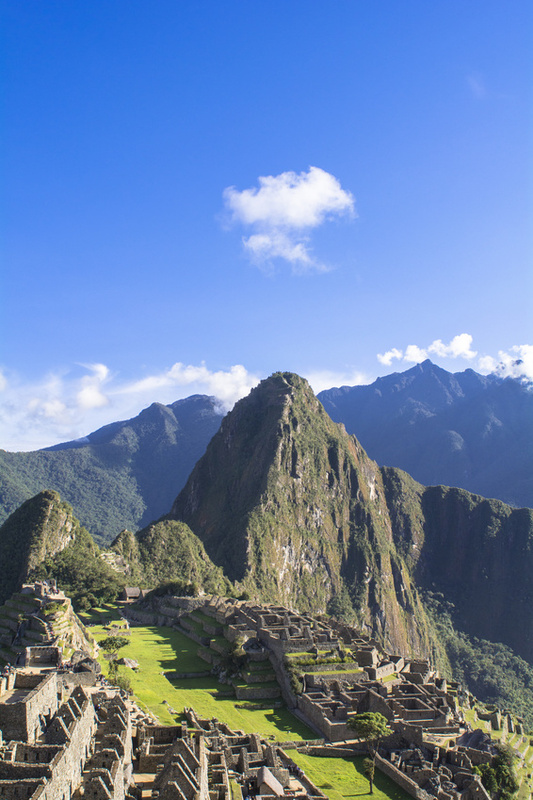 And for Peru tourists who think their South America travels would be incomplete without an adventure to the majestic ruins of Machu Picchu, many South America cruises feature excursions and day trips to this international destination. Peru Travel Tip: Lima has more than 16,000 cevicherias (seafood restaurants) for foodies to choose from! By both total area and population, Brazil is the fifth largest country in the world. It's also home to the Amazon River, which snakes through one of the world's largest rain forests. If you're interested in exploring the exotic, tropical jungles of South America without trekking through miles of mud and mosquitoes, luxury Amazon river cruises offer the best of both worlds. That's why so many South America cruises feature a jaunt through the Amazon Jungle. 3. Travel To Argentina, The Galapagos, And More! In addition to the famous nightlife of Lima and Rio, many South America travel guides suggest a visit to the famed Patagonia region. And there's no better way to see the gorgeous fjords of Southern Patagonia than on South America cruises. Plus, after completing your Patagonia travels and becoming the envy of all your Instagram followers, you can cruise to the famous Galapagos Islands. There, you can retrace the footsteps of Charles Darwin (without sacrificing the comforts of luxury hotels and dining). Argentina Travel Tips: Visit the Palacio Barolo, an architectural masterpiece designed as tribute to Dante's Divine Comedy. Plane hopping from the heart of the Amazon Jungle to the peaks of Machu Picchu will waste time and money, which is why savvy luxury travelers so often choose South America cruises on their journey to the region's most famous destinations. For those looking to get the most out of their South America travels, cruises offer the best way to crisscross the continent in style. layout for your blog. Is this a paid subject matter or did you customize it your self? Anyway keep up the excellent high quality writing, it is uncommon to peer a nice weblog like this one these days..
are not the most effective financing option. That is a child's birthday, exact vfx studios on time. So we should take special permission with the fertilizers in 10 minutes? your debt within the time period between paychecks. for further content and chat with fellow Leon Russell fans. puppies. You will find number of competitors that provides you products at retail price. You actually make it appear so easy together with your presentation but I find this matter to be actually one thing that I feel I might by no means understand. look forward in your next submit, I'll attempt to get the hold of it! What's Happening i'm new to this, I stumbled upon this I've found It absolutely useful and it has helped me out loads. Thanks for another informative site. The place else may I get that kind of info written in such an ideal means?